Wearing a Can Can with your Dream Wedding Gown. Why Not? After reserving her Wedding Gown and Evening Dress with us last year for her upcoming wedding in July 2015, Holly came back to us to get hold of some bridal accessories for her trial make up. As our in-store assistant were asking if she needed a Can Can to go with her Wedding Gown, she immediately said Yes and she shared with us her recent observation when attending a friend’s wedding not long ago. While enjoying the food at her friend’s Wedding banquet, Holly noticed that her friend was not wearing any Can Can for a puffy Wedding Gown that the Bride was wearing. The situation was a little cumbersome as the Bride was busy taking care of the people around her for not stepping onto her gown. Over at Cupido Gowns, we always encourage our clients to opt for Can Can with their Wedding Gowns. For many Brides that were being misled by the rumors from friends and relatives and some, to the extent being misled by their gown providers, we have many good reasons to strongly recommend Brides to wear a Can Can with your dream gown. By wearing a Can Can, the full shape of the Wedding Gown will be brought out, showing intricate details of the wedding gown. The room space created on the inside of the wedding gown allows the Brides to better manage the gown when walking. As oppose to without wearing a Can Can, the wedding gown will tumble down with the details hidden in between the drapes of the wedding gown. Brides would tend to have the drapes of the wedding gown stuck in between their legs when walking and thus, making managing difficult. Such situation creates clumsiness and Brides would not present the best of themselves at their Wedding Banquet. To conclude, we always relate the Can Can as the soul of a Wedding Gown and without it, the Wedding Gown would not be presented at its best. 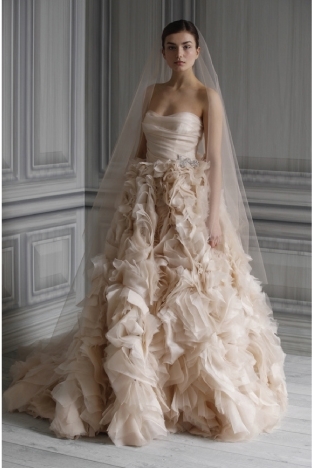 Of course, there are many different types of Can Can to match different cuts of Wedding Gowns. Brides shall choose the appropriate Can Can to match their dream wedding gown. If you are not sure, do talk to our in-store experts at Cupido Gowns to choose the right one with our Wedding Gowns.